I have been buying Iams ProActive Health Original Adult Dry Cat Food for years now and my 3 cats just love it. I would not feed them anything else. I have 1 male cat that goes outside all the time and 2 females that stay indoors. They are in excellent health and are very playful and active. 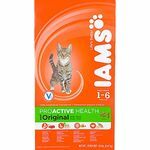 I give Iams ProActive Health Original Adult Dry Cat Food an A+ for this Product. For health reasons I try to feed my cats mainly wet food, but unfortunately I have failed in converting their diet to 100% wet, so in order to round out their meals I've continued to feed them Iams dry food. I've been feeding my cats Iams for several years without any problems, and I've found it to have superior ingredients to the pricey food I used to buy at my vet's office. The first ingredient is Chicken, which is encouraging, but not much further down the list you will find the popular corns and glutens and what not, totally unsuitable for a cat's strict carnivorous nature, but as far as dry foods go Iams is a lot better than most. As for the age 1-6 recommendations, nevermind all of that - it's a marketing thing. As mentioned, my cats enjoy it fine and they're twelve years old! I used to buy this dry cat food for my two babies that have since passed on. They were finicky eaters and once I got this food for them I could not switch it to anything else. This was the only dry cat food they would eat. It has small triangle shaped pieces that are crunchy, I like that this has lots of nutrients in it and is healthy for cats to eat. There were a few different flavor varieties to choose from but the original is usually the one I went for. 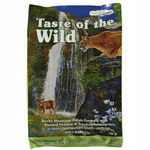 It can be a bit pricey compared to other dry foods but it is well worth it. Quality of Ingredients My cats seemed to love it so I have to assume it was high quality. No way I would ever try it to see! Food remained crunchy even after bag was opened for a few weeks so it did not stale too quickly. Flavor Selection They have a few flavors to choose from, tuna, lamb, chicken, fish, salmon, and they had some with rice added in. 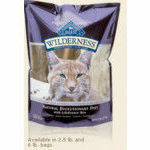 I would not recommend those since cats can not digest carbohydrates very well. I have two adult cats,and I only feed them Iams ProActive Health Original Adult Dry Cat Food. They don't like anything else, and it keeps them regular and their poop dry. I've tried to cut corners and buy cheaper brands, but my cats won't eat it. My cats would starve to death before they would eat something else. Quality of Ingredients Whatever is in Iams ProActive Health Original Adult Dry Cat Food, my cats appreciate it. Iams is a bit more expensive than other brands, but other brands are a waste of money if my cats won't eat it. I have two adult cats who eat Iams Adult food, and one kitten who eats Iams Kitten Food. Besides their treats, they only eat this brand of cat food (and anything else they beg us for off our plates). Flavor Selection There isn't a variety of flavors. There doesn't need to be. My cats won't eat anything else. You can put any flavor of any other cat food, and they won't touch it. They are fine with the one flavor. They get their variety at treat time! Not That Great of a Cat Food for the High Price Tag. 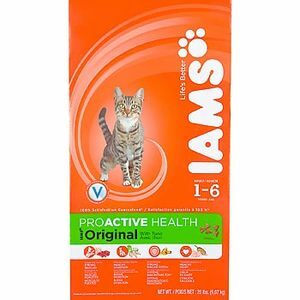 This was the first brand of IAMS that I gave my cats. When I switched from Special Kitty cat food last year, I tried a number of different brands of cat food. I found IAMS to be too expensive for what types of things that put in their food. The first ingredients are chicken, chicken by-products, natural flavor, poultry by-products, some dried vegetables and a list of vitamins and minerals. I was so surprised that IAMS had so much garbage in it. The only positive about the cat food is the first ingredient isn't cornmeal or by-products, it's meat, but then they put in a list of bad ingredients in it. If the company wants to put this type of junk in the cat food they don't need to overprice the food and make it look like it's good for your cat. I do have to say that my cats did love the taste of this cat food. If it wasn't so expensive for what they put in it, I might actually buy it once in a while. However, I'm not going to pay a high price for cat food unless it's nutritious, and IAMS isn't that good for a cat's health. Quality of Ingredients The first ingredient is actual meat. Then it has a lot of different grains and by-products. I guess it's could be worse and the first ingredient could be corn meal like some cat food is made of. Still, for the price IAMS is, I expect it to be more nutritious for my cats. If I wanted to feed my cats this type of food, I would pay for the generic priced cat food. Flavor Selection I do have to say that my cats did love the taste of this cat food. If it wasn't so expensive for what they put in it, I might actually buy it once in a while. However, I'm not going to pay a high price for cat food unless it's nutritious, and IAMS isn't that good for a cat's health. I decided to try Iams Adult Cat food after seeing on the shelf while picking up some items for my cats. I decided they may like a change in food and flavors so I picked up one bag. Both of my cats really enjoyed it. My one cat is a very picky eater and prefers only certain flavors and brands. I was very impressed that she actually liked this cat food and readily ate it. The dry cat food was nice and crunchy. I could hear them chomping away as they ate. I did notice that upon opening the bag the cat food smelled a little strong but that went away over the use of the bag. I did a quick exam of the ingredients and this cat food is full of vitamins and minerals. This cat food is also made with real meat which is nice as I have heard so may negative things about fake ingredients in pet food. 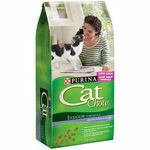 My cats did not seem to have any digestive issues when I switched them to this cat food. I feel good knowing they are eating a high quality product that is actually good for them. Quality of Ingredients Iams is made with high quality ingredients. This cat food is full of vitamins and minerals. Flavor Selection Iams adult dry cat food has a limited flavor selection. I would like to see them come out with more flavors. 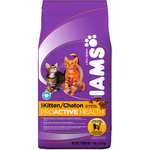 Iams is supposed to be a very good brand for cats and I tried this on my furbabies but they were not impressed and neither was I. I've since learned a lot about cat nutrition and why a grain free diet is best for cats, but at the time I thought I was feeding my cats a premium food. It turns out that I wasn't. I was feeding them a cocktail of meat by-products, corn, rice, and a cocktail of preservatives. I fed my two furbabies this for just a couple of days before we gave up on it. I gave them a separate bowl of it next to their regular food and they refused to eat it. Now I know why - it's not a very good product! While the pieces are small and easy to eat (if they actually eat them) the nutrition and ingredients are not what you would expect from a supposedly premium quality food. The food is a reasonable price, especially if you get it on sale, but I just feel that it is not the best option for my furbabies, and they agree. I have fed iams to my nine year old cat since he was a kitten. I feel like I am giving him the best when I feed him iams. The quality and the ingredients are superior to the other brands. Iams also has a variety of choice for every age and stage from kitten to senior. I can always be sure my cat is getting the best. My rating has gone down quite a bit thanks to the formulary change a few years ago. My cats didn't like it as much and their fur began to get dry. Quality of Ingredients Like I stated before, the formula changed and so did the quality of everything in the food. Flavor Selection I don't think I've seen any actual flavors selections. Just for animal needs types.